Frayed Knights 2: Lovingly Hand-Crafted Pits of Despair! Nick Lives has been working on content for Frayed Knights 2 (even livestreaming his work, if you want to watch his work in progress). I gotta admit, this is motivational even to me when I see the results. I want to play this game! Which of course means I’ve gotta finish it. This project has altered substantially since I first started. I’ve learned a lot more about Unity since I started… which means it’s a challenge not to rip out old code and replace it on a constant basis. There’s so much that could be done better… but it would be better still to get this thing done! The design has also changed a great deal since the first game, and since my original efforts. I was working so hard on tools at the very beginning to make content development go more quickly, which would have ended up with somewhat more generic environments. The focus changed some time ago. With the proliferation of Roguelikes and the flat-level first-person RPGs (which I’m personally thrilled about), having much more custom-designed, detail-packed dungeons seems like the way to go and provide something different. With the number of dungeon levels in this game (WHY do I do this to myself? ), it was crazy trying to rack my brain for ideas on how to make each level stand out and be unique. I try to do that from the get-go, so that even the white-boxed blank levels have a different feel to them. Gameplay – each has a somewhat different focus and flavor. Then Nick comes in and makes sure that every level stands out visually as well, room-by-room and hall-by-hall. It’s fantastic, and a huge motivation boost for me to see things come alive like that. 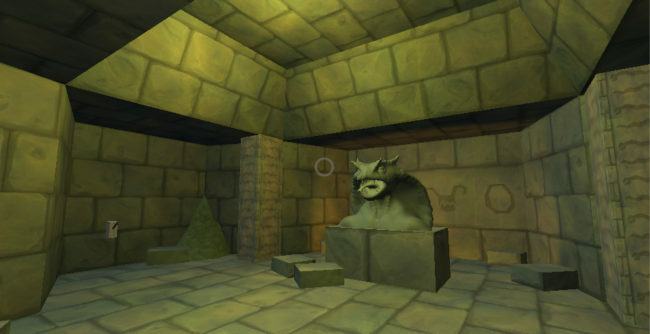 Of course, we’re using tools to speed our efforts, but there’s a LOT of dungeon-crawling goodness to hand-build. 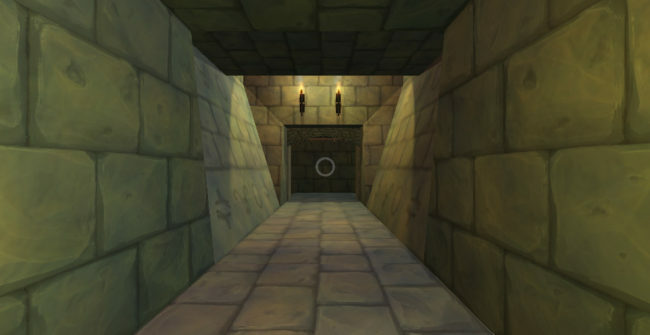 I hope that the emphasis on custom, detailed, hand-crafted dungeons is appreciated and has an audience out there. As much as I like well-made procedural content, to me it still pales to a well-designed human-built level when it comes to dungeon crawling. Hopefully people will agree that this describes the dungeons of Frayed Knights 2: The Khan of Wrath.